AMS Instrumentation and Calibration announces the release of the CVI 393 flanged process viscosity sensors by PAC. 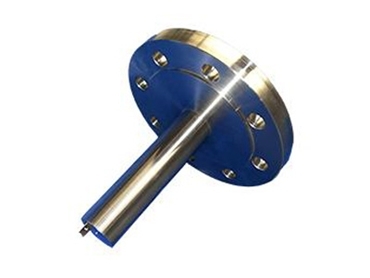 Featuring a new design, the CVI flanged process viscosity sensors have numerous industry standard process connection options, including ANSI, DIN, and RTJ flanges, which make them completely configurable to the end user’s needs. CVI’s patented sensor technology is now an install and go solution with the new connection options, for petrochemical plants and refineries, including in hazardous area applications. The CVI technology is based on the oscillating piston method, which has only one moving part with no mechanical linkages. The sensor electromagnetically drives a piston through a fluid in a controlled measurement chamber at a constant force. Proprietary circuitry analyses the piston’s two-way travel time to measure the absolute viscosity. The sensor is constructed of 316L stainless steel and the piston is constantly mixing the sample and scrubbing the measurement chamber clean. CVI 393 flanged process viscosity sensors by PAC find a major refinery application in asphalt production. Highly accurate, real-time viscosity measurements aid refineries in reducing operational costs and increasing production of materials, such as asphalt. Oscillating piston is the preferred technology of in-line viscometers due to its inherent accuracy and reliability advantages over competing methods.